Your organization’s security depends on your ability to rapidly detect and respond to emerging threats across your cloud and on-premises environments. Yet, attack methods and strategies evolve constantly, making threat detection an always-moving target. Most organizations simply don’t have the resources or time to extensively research the global threat landscape for the latest attack vectors, nor can they spend time analyzing every indicator that an attack is happening. 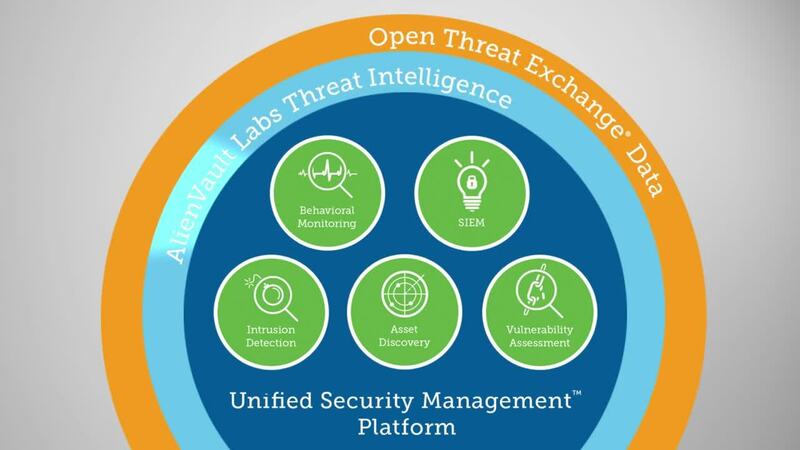 AlienVault® Unified Security Management® (USM) is built with these organizations in mind. AlienVault USM performs advanced threat detection across your cloud and on-premises environments. It combines multiple essential security capabilities – asset discovery, vulnerability assessment, intrusion detection, behavioral monitoring, endpoint detection and response, SIEM event correlation, and log management – in one unified console. This gives you everything you need to quickly identify, analyze, and respond to emerging threats–in one cost-effective and easy-to-use solution. In addition, the AlienVault Labs Security Research Team works on your behalf to research the latest global threats and vulnerabilities, and delivers threat intelligence updates continuously into the USM platform. That way, you get the assurance of an always-up-to-date and optimally performing security monitoring solution, even without a dedicated in-house security team. 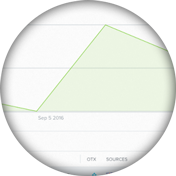 AlienVault Labs leverages threat intelligence from the Open Threat Exchange® (OTX™)—the world’s largest open threat intelligence community of security experts, researchers, and IT professionals worldwide who provide global insight into the latest attack trends, bad actors, indicators of compromise, and affected industries. With the constantly evolving nature of the threat landscape, it can be difficult—especially with limited resources—to address every incident and alert that occurs in and across your on-premises and cloud environments. Instead, you must be able to cut through the clutter of alerts and false positives to effectively prioritize your threat detection and response activities. AlienVault USM Anywhere automatically prioritizes the most severe threats facing your environment. The platform uses the Kill Chain Taxonomy to categorize threats by severity in a highly visual and instantly recognizable way, so that you can immediately know which threats to focus on first. It also provides you with contextual information to help you understand attack intent and threat severity, based on how the threats are interacting with your environment. System Compromise – Behavior indicating a compromised system. This is the most severe threat level. AlienVault USM provides multiple essential security capabilities to help identify, understand, and contain threats—all through a single pane of glass. With all security-related data about your assets, vulnerabilities, and intrusions centralized and easily searchable, and backed by threat intelligence from AlienVault Labs and OTX, you can investigate faster and respond sooner to risks and threats against your critical infrastructure. AlienVault USM delivers multi-layered IDS for your cloud, hybrid cloud, and on-premises environments threat detection needs. Built-in network intrusion detection (NIDS), host intrusion detection (HIDS), and native cloud intrusion detection (CIDS) capabilities work in concert, giving you comprehensive intrusion detection across your entire IT landscape and eliminating your security blind spots.